Dr. Bryce graduated from the University of Arizona School of Medicine. He did his general surgery residency at the Phoenix Integrated Surgical Residency at Good Samaritan Hospital in Phoenix, Arizona. Dr. Bryce serves as the rural trauma surgeon representative on the State of Utah Trauma PIPs committee. Dr. Bryce is currently the Trauma Medical Director for Brigham City Community Hospital, EMS Medical Director for Brigham City EMS/Fire Department, Medical Director for Box Elder County Dispatch Center. Dr. Bryce is currently in his 9th year as a member of the Brigham City Metro SWAT team. 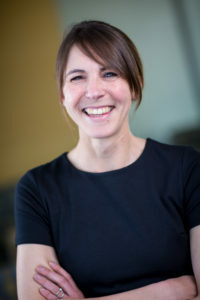 Megan Call is a licensed psychologist and is the Associate Director of the University of Utah Health Resiliency Center, Clinical Assistant Professor in Educational Psychology and Adjunct Professor in Health Promotion and Education. She has research and clinical interests in promoting resilience and well-being among health providers, with a specific focus on embracing vulnerability and discomfort, incorporating informal mindfulness into everyday practice, improving communication and relationship skills, and addressing systematic change. Diane has been a nurse practitioner over 20 years obtaining her Doctorate in Nursing practice, Geriatric and Family certifications. She has worked in community centers and urgent care, and senior clinic for primary care with Intermountain Healthcare. Diane now works with Optumcare Utah seeing insured in wellness center and skilled nursing facilities for wellness visits and medical diagnosis review for those folks with Medicare. 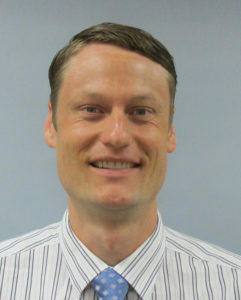 Michael Osborn is an Emergency Physician with Utah Valley Emergency Physicians working at Utah Valley and Orem Community Hospitals. He was born in Spanish Fork, UT and went to BYU for his undergraduate degree. He went to medical school at Texas Tech University Paul L Foster School of Medicine and completed an Emergency Medicine Residency at the University of Nebraska Medical Center in Omaha, Nebraska. Dr. Osborn is married to his beautiful wife Marianne and they have six amazing children. Amy Stevenson Wilson was born and raised in Fruit Heights, Utah. 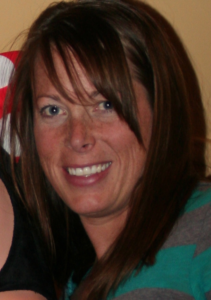 She is an avid runner, loves reading and travel, and gets excited about anything nutrition. Amy got a degree in Political Science at BYU and lived in Argentina, Hawaii, Washington D.C., and Taiwan before moving to Ohio to study for a Master's in Public Health. She met Kyle Wilson, a Utah native himself, who was studying to become an optometrist at OSU. The two were married in May 2013 and lived in Connecticut, Denver and Colorado Springs before moving to Bountiful, Utah last May. In February 2017, Amy was 8 months pregnant with her second daughter when she was in a near-fatal collision with a car of teenage high school students who were street racing in Salt Lake City. She and Kyle are happily raising their three children while meeting the challenges of life. Detective Ryan Stocking was born and raised in Salt Lake City, Utah. He has been in law enforcement for 10 years. He began his career in 2008 as a correctional officer at the Salt Lake County Metro Jail where he worked for more than 2 ½ years before becoming a road officer. In the jail, he worked in the minimum, medium, and maximum-security units, and in the processing area. He worked four years as a patrol officer assigned to the Kearns/Magna area. Detective Stocking has been assigned to the Metro Gang Unit for four years and is currently assigned as an investigator in the unit. Detective Stocking is a certified gang expert and has investigated numerous gangs to include OMG (Outlaw Motorcycle Gangs), Hispanic street gangs, and white supremacists gangs. Detective Stocking has taught gang classes at the University of Utah, POST, SLCC, and at UPD for all new hires. Detective Stocking enjoys educating the community and law enforcement on gangs and gang activity.